by criminals who cruise our suburbs seeking to pounce on their next vulnerable victim. It’s a reality that can lead us to live in fear and seek solutions that make us feel safe again. a keystroke away, wherever you are. 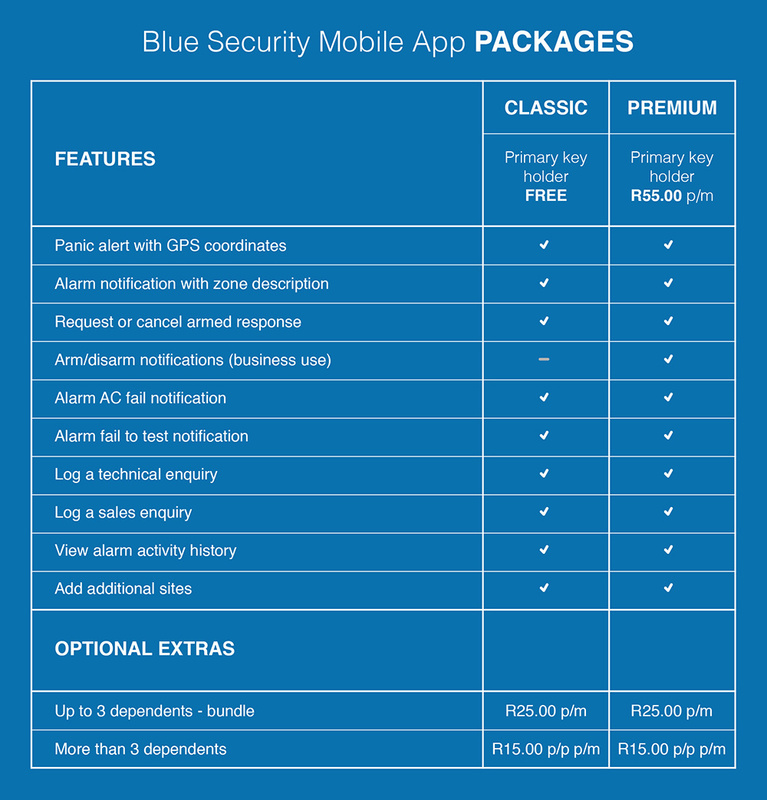 Our Blue Security Mobile App, when installed on your smartphone, pinpoints your precise location - whether you are at the beach, out jogging, or hiking in a park - the moment you activate it in an emergency. Our state-of-the-art control centre receives the signal and makes contact with you to determine the type of emergency. We can then activate a range of emergency responses, from our own armed response officers in our operational areas, to ambulance services, the SAPS and roadside assistance services. 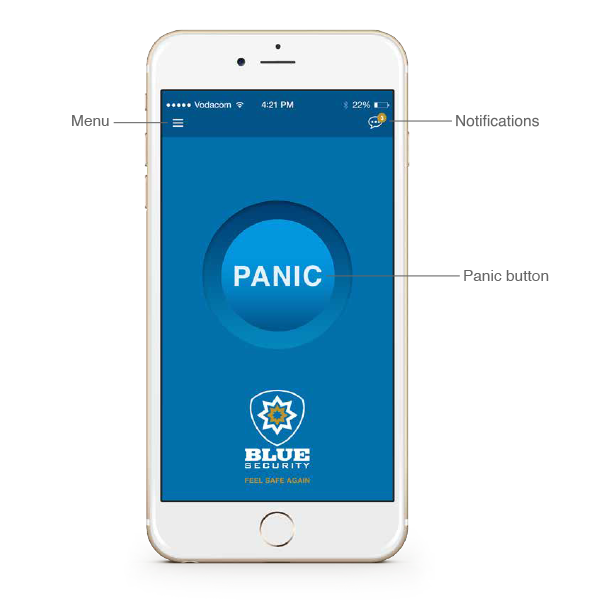 But our app is more than just a panic alert button. 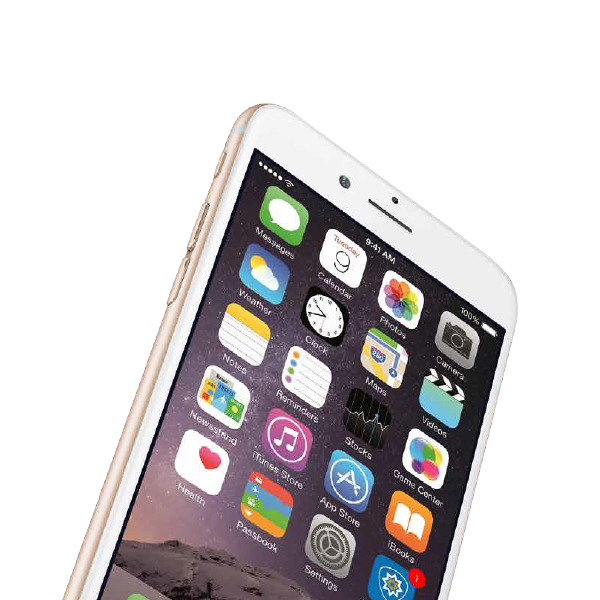 It also places control of your home or business security firmly in your hands through your mobile phone, as it will receive instant notifications of activity on your alarm system whether you may be at home, work or out playing. This short instructional video takes you through the registration process and a brief overview of the diverse feature set unique to our app. When your home or business alarm system is activated a siren ringtone will sound on your cellphone and the panic alert icon will appear on the screen, alerting you to the fact that there has been a security breach on your property. Much more than a mobile panic app. Your panic alert for home and away. 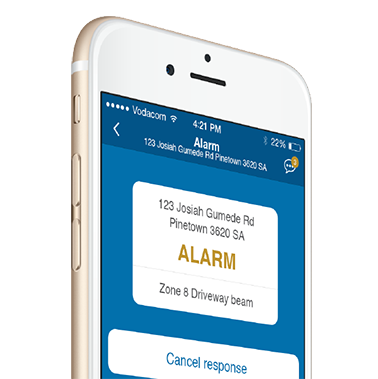 Alerts sent from your alaram system to the app show exactly which zones on your property have been breached. Whether it was a single activation, for example an outdoor beam, or a multiple activation indicating the presence of an intruder. 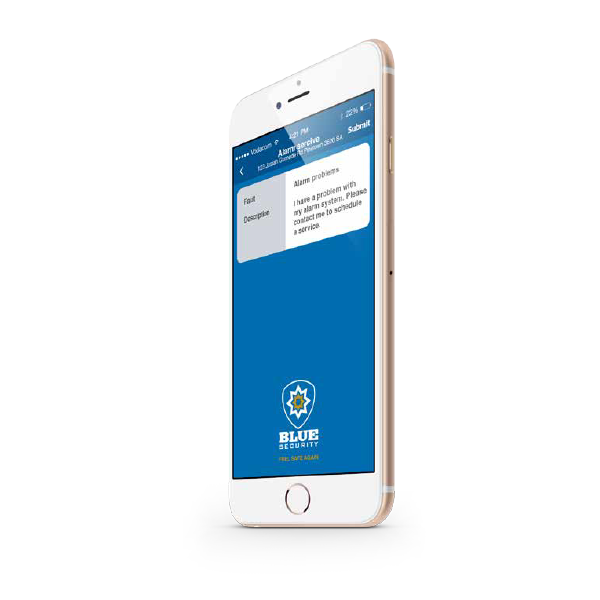 If your home or business alarm has been activated, the app prompts you to request or cancel an instruction for an armed response vehicle to respond to the site. If it was a false alarm you can go ahead and cancel, saving on time and valuable resources. 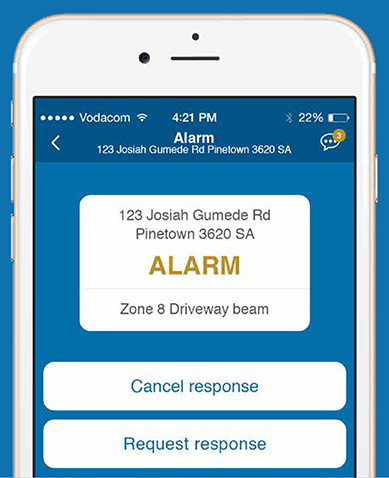 If you are home and its false alarm, you can cancel without answering a telephone call that risks waking up the family, and there's no need to get out of bed to speak to an armed response officer at your gate. 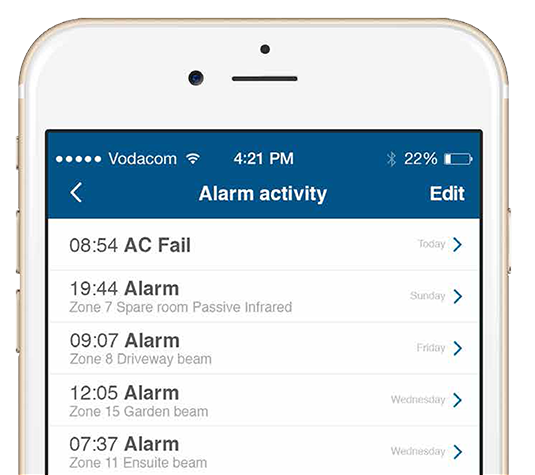 General notifications indicating alarm tests, test failures and power failures are also streamed to the app in real time, keeping you up to date with your alarm systems activities. Use this functionality to complete an audit of the historical data stored in your alarm systems control panel, including the number of activations, false alarms, tests and power failures. 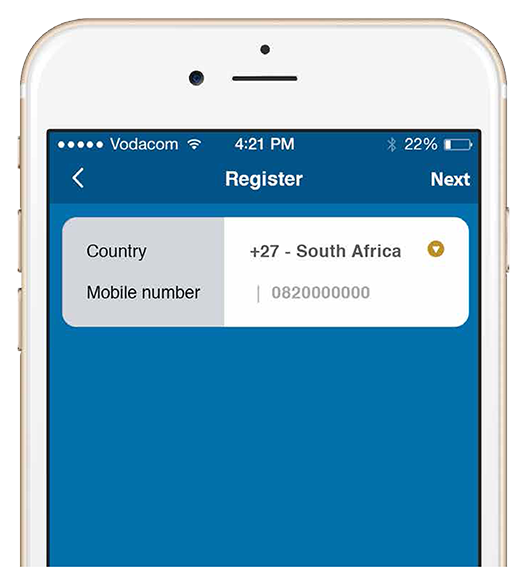 Easily log sales, service or account enquiries via the app. 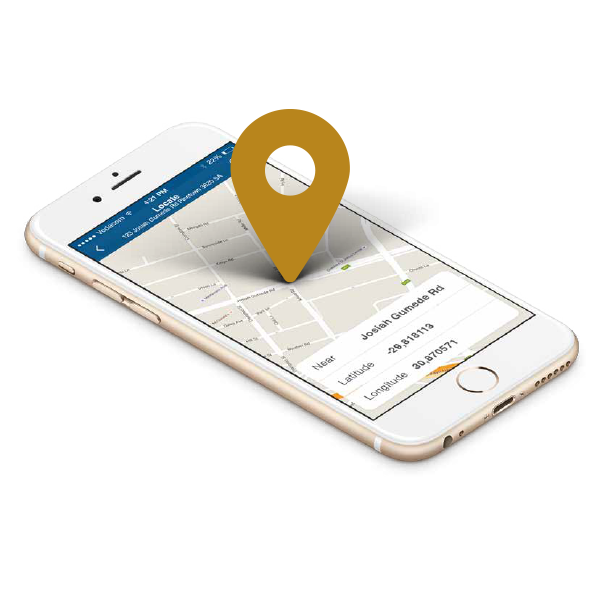 Send us a notification if you want to add additional features to your alarm system, request technical support for a repair, or query an item on your account, and one of our professional team members will be in touch to assist.